The modern office is collaborative, flexible, and normally features an open-space layout. How do we equip these spaces with the proper office furniture? By integrating office chairs that are ergonomic, aesthetically appealing, stylish, and increase the productivity and comfort of the space. We profile some of our favorite ergonomic office chairs that can keep your office up to date with the times! Integrate the Sitmatic Posh Ergo Executive Chair into your executive suite without compromising on style and comfort. The rigid steel frame is durable and helps make this chair last for years to come. Stay comfortable throughout the workday with help from the PressureCast foam that is thick and used around the frame, providing superior support. The zip-off upholstery makes it easy to replace damaged fabrics. Highlighted design elements include a French seam and flexible urethane arm rests. Choose from different armrests and casters based on your personal style! The Amplify collection offers sleek and stylish lines with a modern aesthetic. 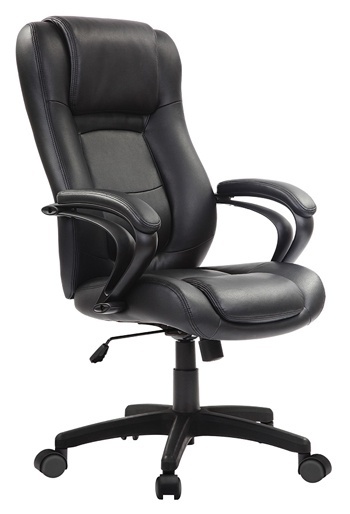 Standard features include synchro, height adjustable arms, and adjustable lumbar support. Amplify delivers the power of choice with different frame, back support, and arm color options available. The contrast stitching is vivid and comes in 10 different thread colors. Choose from a mid or high back as well as a task stool configuration. Mesh colors include onyx, nickel, fog, navy, desert, and many more. 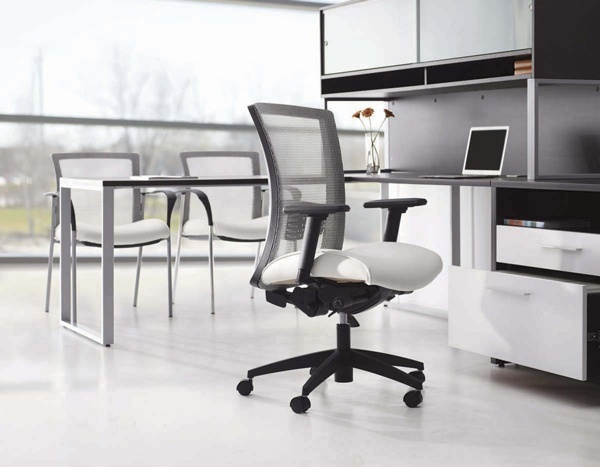 For more information read our product spotlight on Amplify task chairs. 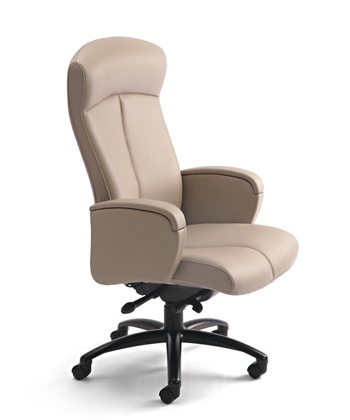 The Eurotech Pembroke ergonomic office chair is designed with sensational eco leather. Provide your executive staff with the ultimate in comfort – this chair integrates mattress spring technology within the cushion, allowing for exceptional lumbar support. Highlighted features include tilt control, seat height adjustment, waterfall seat, padded armrests, and Greenguard Certified. 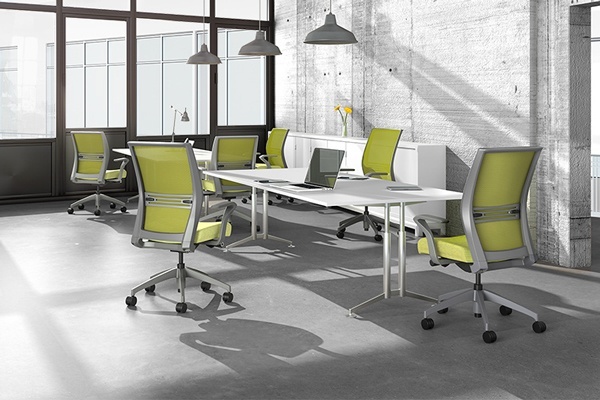 If you’re business is looking to earn LEED credits, look no further than the Vion Task Chair by Global that is level 3 and Greenguard Gold certified. The clean lines and modern design make this task chair an essential for the office. Choose midback or highback configurations as well as five different control mechanics options. Choose from different arm, color, and caster options to create the customized chair of your dreams. Features include weight sensing synchro-tilter mechanism, optional seat memory foam, optional polished aluminum base, and many more. Although the River Lounge is not an ergonomic chair, it can do a lot of help enhance your office interior design! 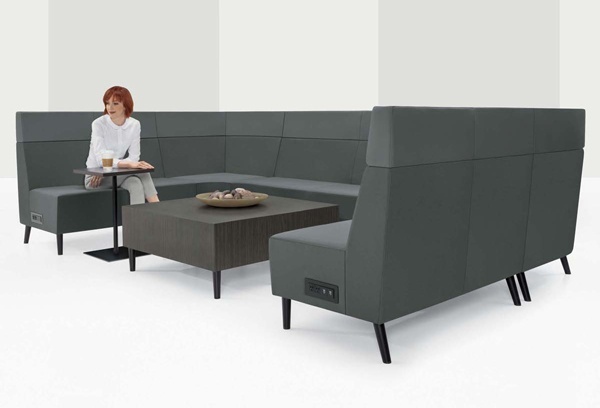 The modern design of the lounge works perfectly for different industries and collaborative/open space workspaces. This collection supports a variety of different configurations with different back heights and benches. The seating and tables can be integrated and equipped with power and USB outlets. This flexible lounge allows for open communication and collaboration. Interested in any of the office chairs we have featured? We can also help you with the installation of your new chair.